The Cincinnati Reds will celebrate their 150th season as a professional club in 2019. While of course the Reds will start their season at home, there are some interesting road trips for David Bell’s team upcoming. I’m going to look through every month in the regular season and lay out the toughest road trip by either distance or how good the teams are. The Cincinnati Reds are looking to return to the playoffs this year with David Bell at the helm, and to do that, they will need to play better on the road. As the visitors in 2018, they only won 30 games, second-last in the National League, and were swept six times. Both wild card teams won 44 road games, and both Atlanta and the Dodgers won 47 road games last season. In the past five years, the Reds have averaged 30.2 road wins while the two wild card teams have averaged 42.8 road wins. For more reference, in the Reds’ last playoff appearance as a wild card team in 2013, the club won 41 road games. from 30 to 43 road wins would be an overall improvement from 67 to 80 wins. Sign me up for that right now. If the Reds will want to get to that number this year, though, they will need to perform well in these six road trips I have laid out here. 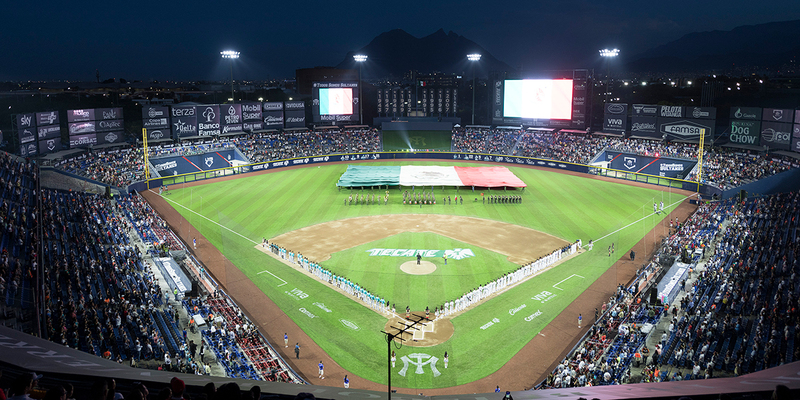 Estadio de Beisbol Monterrey, Monterrey, Mexico. The first two games on this trip will be Reds home games against the St. Louis Cardinals. So why am I putting them on this list? They will be played in Monterrey, Mexico, a five hour flight from CVG. The Cardinals made the first big splash of the offseason by trading for first baseman Paul Goldschmidt, who slashed .290/.389/.533 last year. St. Louis also returns starters Adam Wainwright and Michael Wacha and signed reliever Andrew Miller away from the Indians. Last year, the Cardinals won their first nine games against the Reds and ended the year with a 12-7 record against Cincinnati. This is only a two game set, but will be important to start this year’s games against the Redbirds on a better note. The club will then take a short four hour trip to Los Angeles, where Yasiel Puig, Matt Kemp and Alex Wood will return to Dodger Stadium for the first time since they were traded to Cincinnati in December. The Reds swept the Dodgers in LA last year, and took two of three back at Great American Ball Park to end up 6-1 against last year’s pennant winners. The Dodgers are still looking to sign a few more players, and the trade with the Reds freed up cap space for Bryce Harper or Manny Machado. LA has also been involved in trade talks with Cleveland for Corey Kluber, and they hope to acquire him or another starter this offseason. Pending those moves, the Dodger championship window is still wide open, and may prove to be a tough opponent for the Reds in their first road series. Traveling from Los Angeles to San Diego won’t be difficult, but it will be for a four game series after five tough games. While the Padres haven’t made the playoffs since 2006, they have owned the Redlegs recently, winning 20 of 31 games in San Diego since 2009. The club also dropped last year’s series at Petco Park and lost four of seven overall against the Friars. San Diego signed Ian Kinsler this offseason, and will look to improve on their last place finish in 2018 with the help of an Eric Hosmer rebound and another strong year from Wil Myers. This early season West Coast trip will test the team’s mettle, and if Bell can get the team through this early international trip unscathed, it will show their potential. The Reds will visit both teams by The Bay in May. Another early season West Coast trip will be tough to handle for David Bell’s team. After hosting the Giants for four games, the Reds will take a Monday night flight to Oakland to play an AL wild card team. The last time the Reds played at the Oakland Coliseum was June 2013, when the Reds lost both games in the Bay. Before the stadium was renovated, the club finished their historic four-game sweep of Dennis Eckersley and the 1990 Athletics, finishing off a wire-to-wire season. Sorry, A’s fans. The team lost Jed Lowrie, Jonathan Lucroy, Edwin Jackson and Trevor Cahill to free agency, but Billy Beane made another notable acquisition in second baseman Jurickson Profar. They also return Sean Manaea, a 26-year old lefty who won 12 games, racked up 108 strikeouts and no-hit the Red Sox too. The A’s won 50 games at home last year, and won’t give the Reds any favors after a cross country trip. The Reds then cross the Bay to play San Francisco again. The Giants have not yet signed anyone, and lost Hunter Pence and Gregor Blanco to free agency. The past two years have been tough on the Giants, but the core of their playoff rosters-Buster Posey, Pablo Sandoval, Brandon Belt, Brandon Crawford and Madison Bumgarner-is still intact along with Bruce Bochy, and they will look to go for one last playoff ride before breaking up. The Reds lost two of three to the Giants in the Bay last year but swept them at home to go 4-2 on the year against San Fran. This trip will be the second of three California trips for the Reds, with the last coming in June as the team visits Anaheim. Fredbird and his team of bird cage cleaners. In this eight-game road trip the Reds will visit St. Louis, Philadelphia and Cleveland. While these three cities have not been kind to the club in previous years, they fared well in 2018, going 7-8. We’ve talked already about the Cardinals transactions of this year, but this series will be important if the Reds are (hopefully) still in the playoff push. After firing Mike Matheny in mid-July, Mike Shildt led the Cardinals to a 41-28 record, giving him the official title of manager. The players had seemed to tune out Matheny, but Shildt was the bench coach and built relationships with those players all year before taking over as manager. If he can recreate the magic again this year, the Cardinals should be rolling by June and will be a tough matchup for the Redlegs. The Phillies have been very active this offseason. They have been on both Harper and Machado, and they have already acquired shortstop Jean Segura and outfielder Andrew McCutchen along with some veteran relievers. If they add one of those big names to a roster with Jake Arrieta and Odubel Herrera already on it, they will be one of the favorites to win the National League. In the past ten seasons, the Reds have only won one series in Philadelphia, and were swept last year at Citizens Bank Ballpark. It’s silly to say that three games in a 162 game season can define how it will go, but to me, a series win there will mean a lot for David Bell’s new tenure. Dusty Baker never won there, and Bryan Price won once there over the past ten years. If Bell can lead the club to a series victory, this will show fans this will be different than Baker and Price. After visiting Philly, the team starts the battle for The Ohio Cup in a two game set with the Indians. The Reds have only won four of twelve games in Cleveland since 2014. So far, the Indians have kept both Trevor Bauer and Corey Kluber, but still may deal one before spring training, possibly even to the Reds. If the Reds were to get Kluber, it would make their rotation one of the best in baseball this year. Cleveland has reached the playoffs three straight seasons and looks to go back again. They lost a few of their deadline pickups to free agency and traded away Edwin Encarnacion, but received Carlos Santana in the same deal. The Indians aren’t done making moves, but they should still be able to win a weak AL Central division with players like Francisco Lindor and Jason Kipnis leading the way. This is a make-or-break trip for the Reds. If they can take five of nine and keep some momentum going, they will be able to buy rather than sell at the deadline. 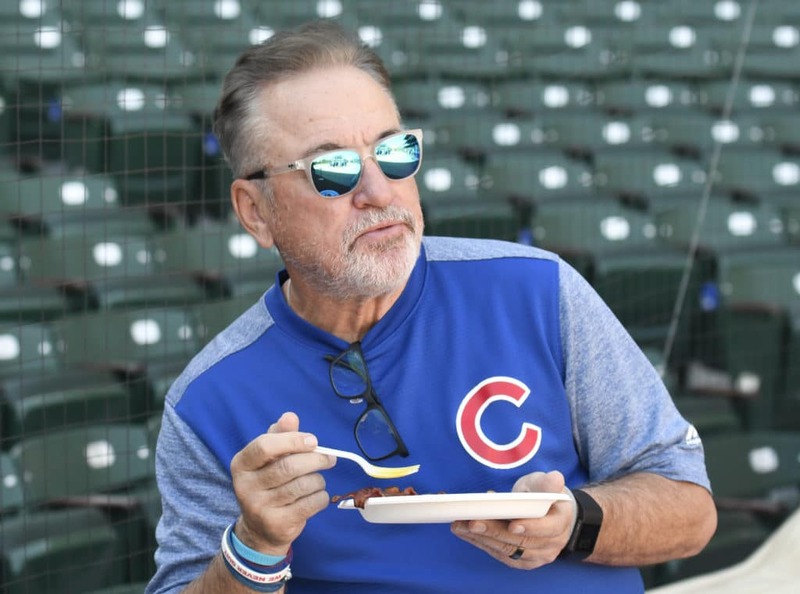 Joe Maddon is soooooooo cool. This is only one of two road trips in July for the club, and it comes against the two teams that played for the NL Wild Card last season. Colorado signed slugger Daniel Murphy away from the Cubs but let Carlos Gonzales and DJ LeMahieu go to free agency. These two combined for 31 home runs, a .448 slugging percentage and 3.7 WAR. The Rockies still have Nolan Arenado, Trevor Story and Charlie Blackmon, though, and will look to wrestle away the NL West crown from the Dodgers. Last year, the Rox beat Cincinnati in two of three games at hitter-friendly Coors Field, and would win four of six overall. Next, the Reds visit “Cool” Joe Maddon and the Cubs for a three game series in mid-July. The Cubs have made the playoffs in four straight seasons and ended the Curse of The Billy Goat in 2016. Since winning that trophy, they have kept most of that roster intact but haven’t been back to the World Series. Chicago added Daniel Descalso and is also in on the Bryce Harper sweepstakes, but has also had strange rumors floating around Wrigley, mainly about Kris Bryant being on the trading block. This is a pivotal season for the Cubbies, and the Reds might be visiting at just the right time. Before their resurgence, winning at the Friendly Confines was a given for the Reds. Since 2015 though, the Cubs are 28-11 at home against Cincinnati. If David Bell can turn the tide and win more games in the Windy City, he’ll be back on the winning path. Ozzie Albies and Ronald Acuna Jr. are here to make baseball fun. The Reds will hopefully still be in contention for a wild card spot in early August right after the trade deadline, and this four game set with the young Braves will be big for both teams. The Braves have added to their already great team with Josh Donaldson, and look to repeat as NL East champions. The trio of Ozzie Albies, Ronald Acuna and Ender Inciarte will be leading the Braves for years, and the club will look to contain them in Atlanta. The Reds won two of three in Atlanta and four of seven overall last year. This is a weekend series that might have two nationally televised games, and will be a chance for this Reds team, whether in contention or not, to play well in the spotlight. 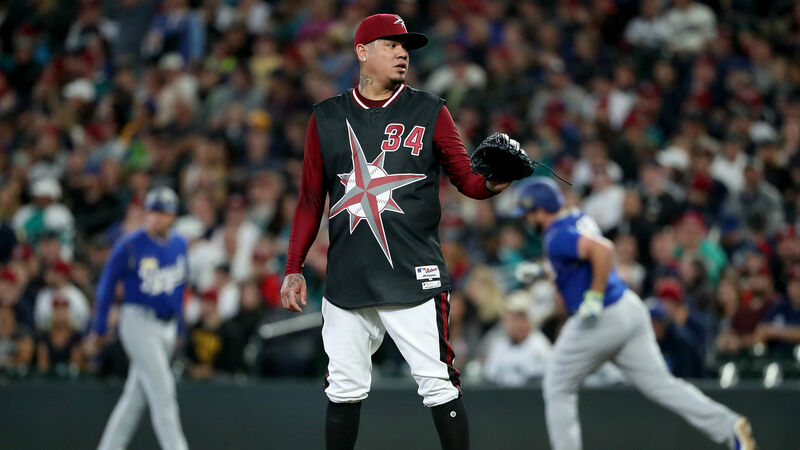 The Mariners should always wear their “Turn Back The Clock” uniforms. This might be the toughest road trip of the entire season. If the Reds are still in contention, it will be imperative for them to come out of this unscathed to stay in the race. If the Reds have fallen out, this nine game set seems to call for a drubbing of epic proportions. The Mariners have been busy this offseason, signing Yusei Kikuchi from Japan and received Edwin Encarnacion and Jay Bruce in trades while giving away Jean Segura, Edwin Diaz and Robinson Cano. All of this for a team that won 89 games last year, yet still had the worst betting odds to win the 2019 World Series as of November 2018. The Reds haven’t been to Safeco Field since 2010, where they were swept, and they’ve lost eight of their last nine games against the M’s. Hopefully, the Reds can end their recent losing ways against Seattle. Next up on this trip is the Diamondbacks, who have split six games for the past three years. The Diamondbacks competed last year and were in the playoffs in 2017, but look to be taking a backseat this year after dealing away Paul Goldschmidt and looking to trade Zack Greinke and Archie Bradley. If the Diamondbacks win more than 65 games this year, it will be an accomplishment. The struggle for the Reds here will be trying to stay in the playoff push while playing a team that is very out of it in front of an empty stadium. For the last leg of this trip, the team will once again visit Chicago to play the Cubs. Again, I hope that the Reds are still in contention with the Cubs, but chances are they won’t be. If they are, this will be a great series for both teams. If the Cubs have already locked up the division or have already been eliminated, this will be a huge opportunity for Bell to get three more wins for the push. Again, depending on where the Reds are at this point of the season, this road trip may be an opportunity to rack up more wins with less than two weeks to go or it may be perfect for implosion. The blueprint for a National League wild card spot has been laid out in the last five years: 90 wins with 43 of those coming on the road. These road trips are going to be tough for a veteran team with a first-year manager, but if David Bell can turn around the Reds, it will be greatly helped with road wins. These six road trips total 42 games, more than half of the road games the Reds will play this year. They will all be tough, but this is the road laid out for Bell’s men. Here’s to the Reds batting first on the road, and hopefully they can win more games than they did last year. Next Post Is All-Star Eugenio Suarez Not A Top-Ten Third Baseman?